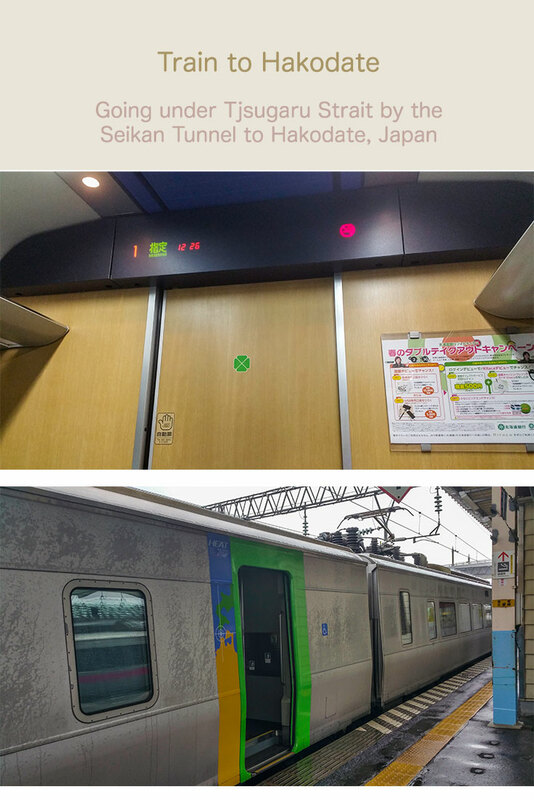 We caught a train to Hakodate from Aomori. The train went under the Tjsugaru strait, a very long and deep underwater tunnel. It is called the ‘Seikan’ Tunnel and it is said that the tunnel is 2nd longest underwater tunnel in the world. It took about 30 mins to get through the Tjsugaru strait. 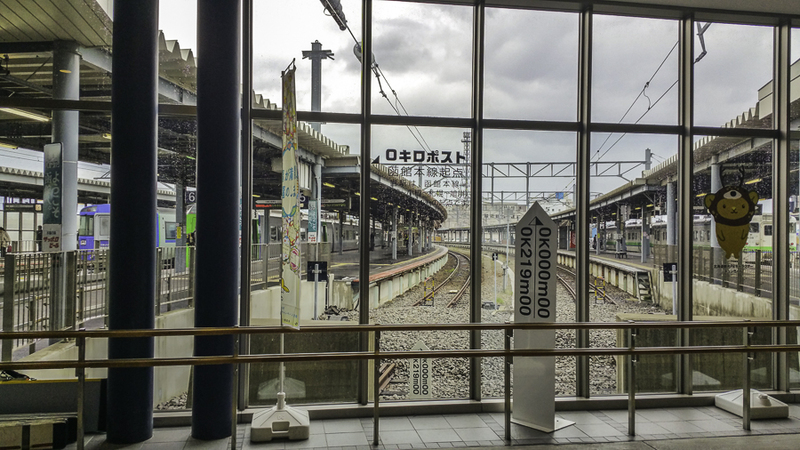 Catching the train from Aomori to Hakodate in Hokkaido, Japan. 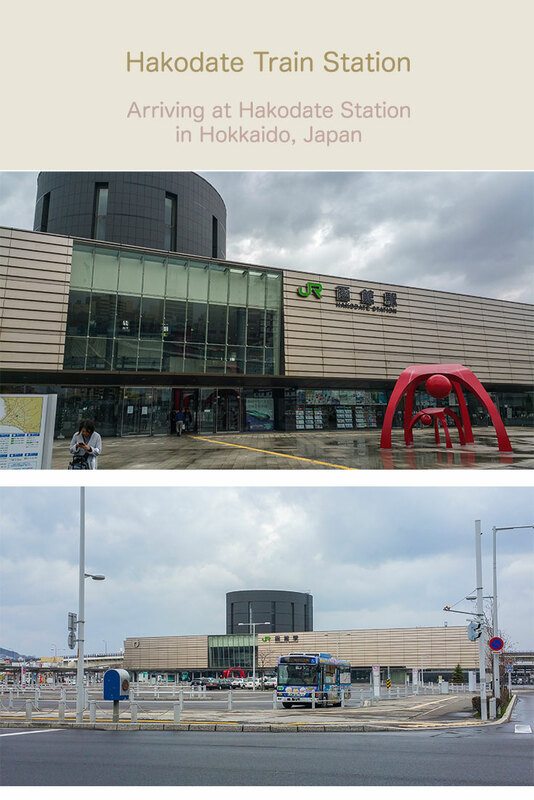 We finally arrived at Hakodate station. 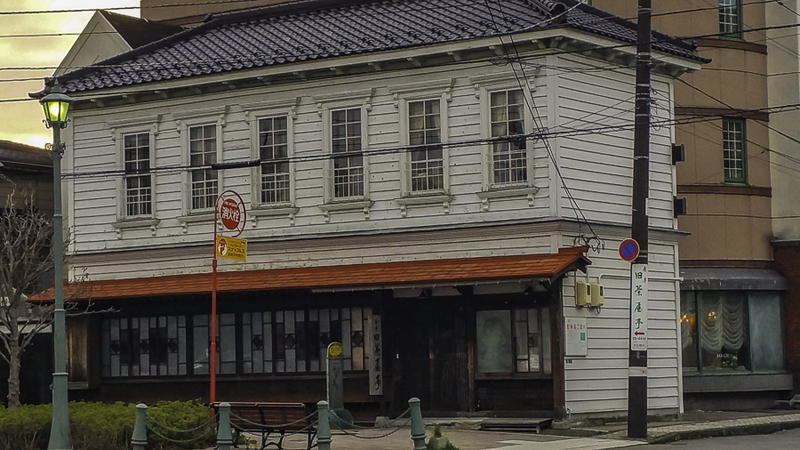 We spotted support beams holding the roof of Hokkaido station so that it did not collapse. 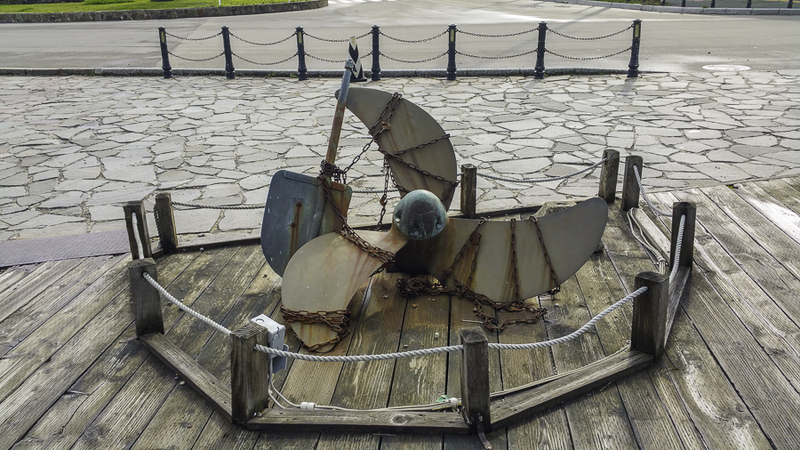 It looked very make shift and seemed to be put there as an emergency measure, not very reassuring. Outside the station it was very spacious and wide though a little quiet. 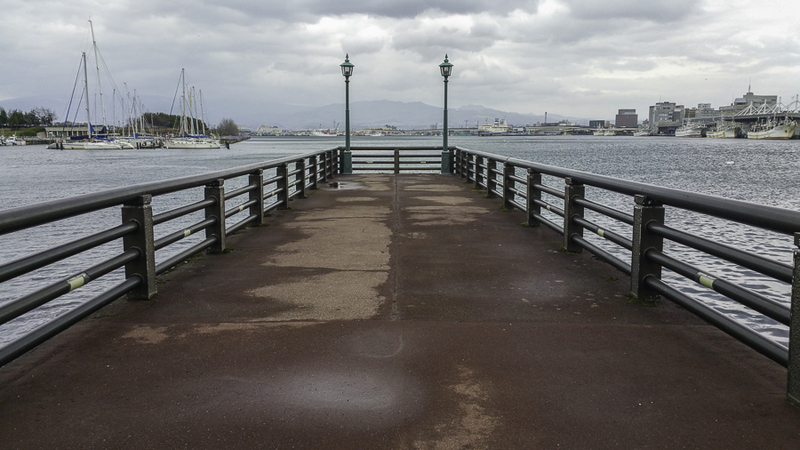 It was also quite chilly as to be expected when you travel north of Japan. We had found a very good rate on our hotel room, after checking in we found out why, there was a large construction site outside but the room was soundproofed so it did not worry us. 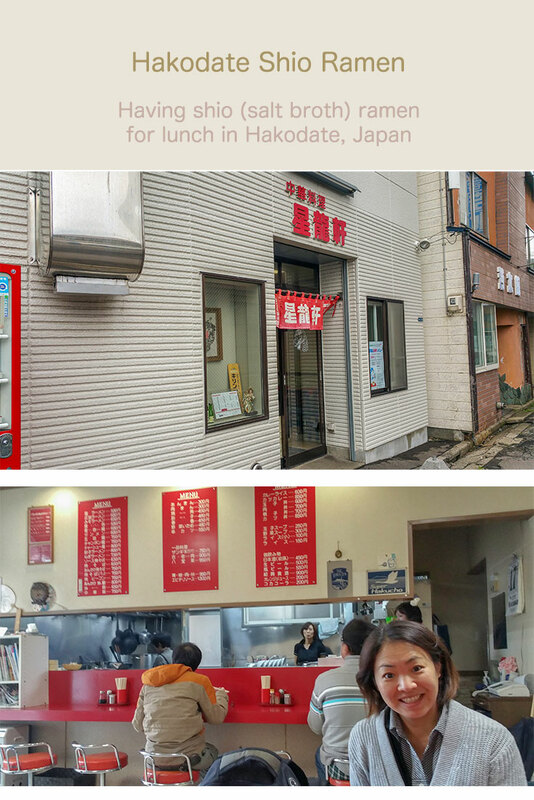 We made our way to a ramen restaurant, as Shio (salt broth) ramen is famous in Hakodate. It was tasty & delicious! It was a basic looking dish though very satisfying to eat. Having Hakodate shio ramen in Hokkaido, Japan. 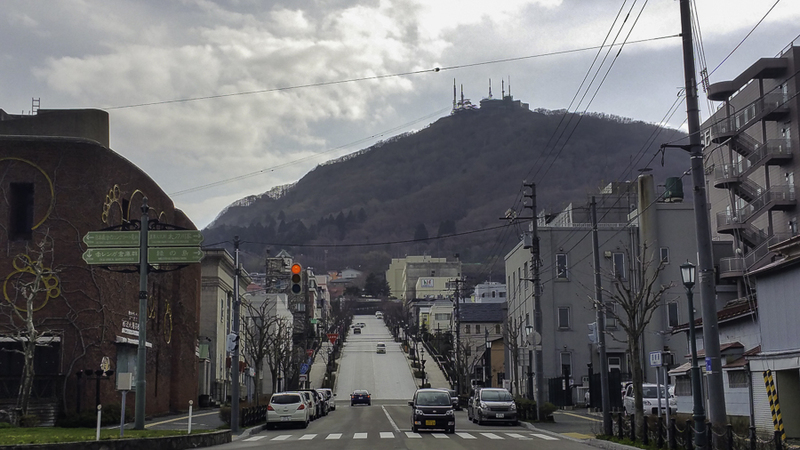 Views of Hakodate town in Hokkaido, Japan. 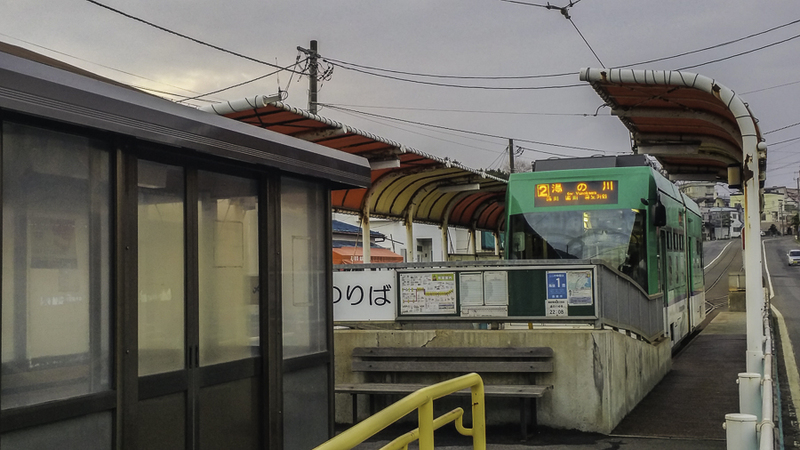 After spending the afternoon at a large spacious Starbucks, we took a tram to go to ‘Yachigashira’ Onsen (hot spring) on the edge of Hakodate. It was really, really nice onsen with a good selection of hot indoor and outdoor baths at varying degrees of temperature. We spent one hour there but wished we had made it longer. 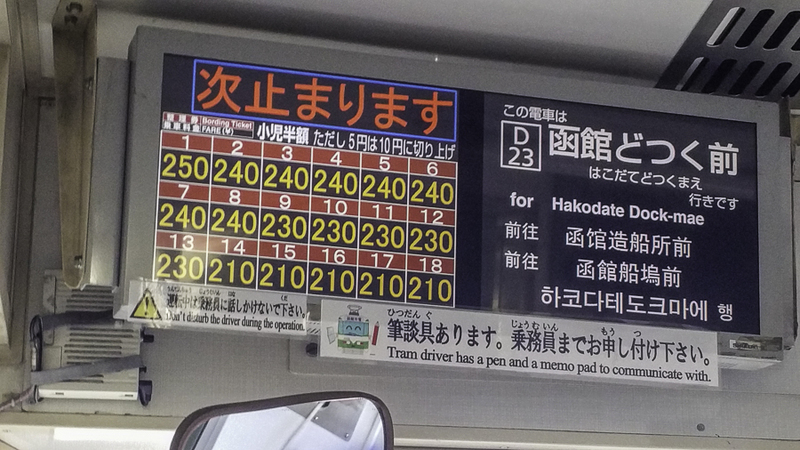 You can communicate with the tram driver with pen and paper. 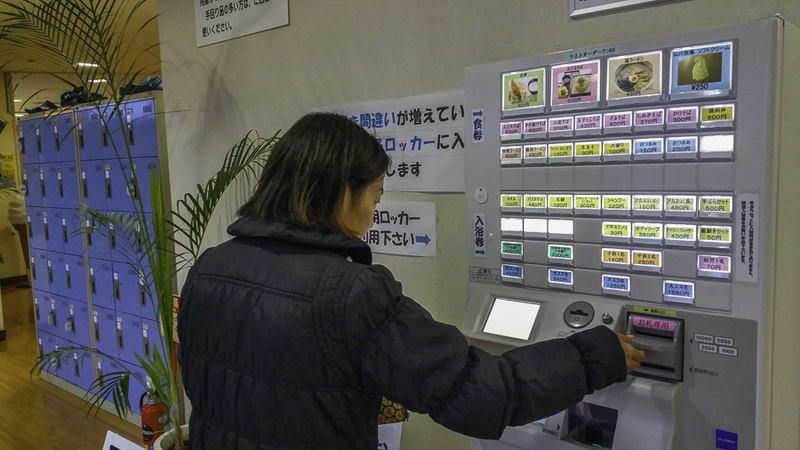 June buying tickets in Yachigashira onsen in Hakodate, Hokkaido, Japan. Heading back to catch some dinner in Hakodate, Hokkaido, Japan. 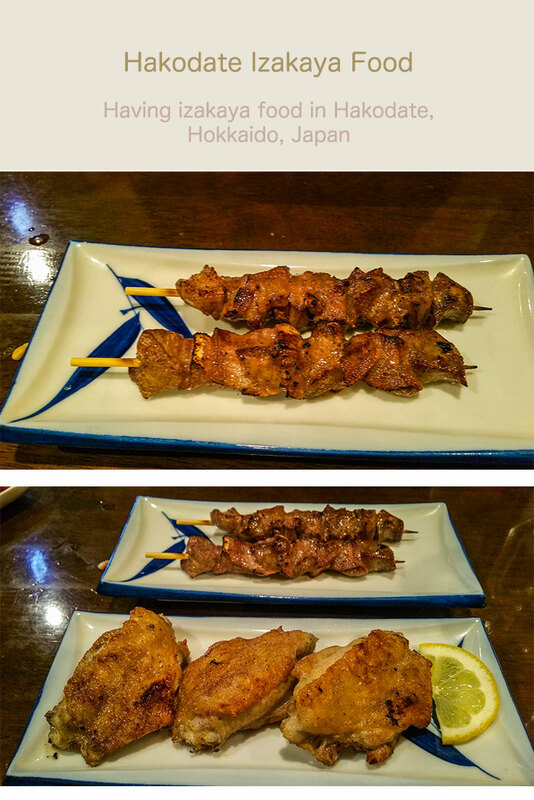 We finished the day with Hakodate Izakaya town. 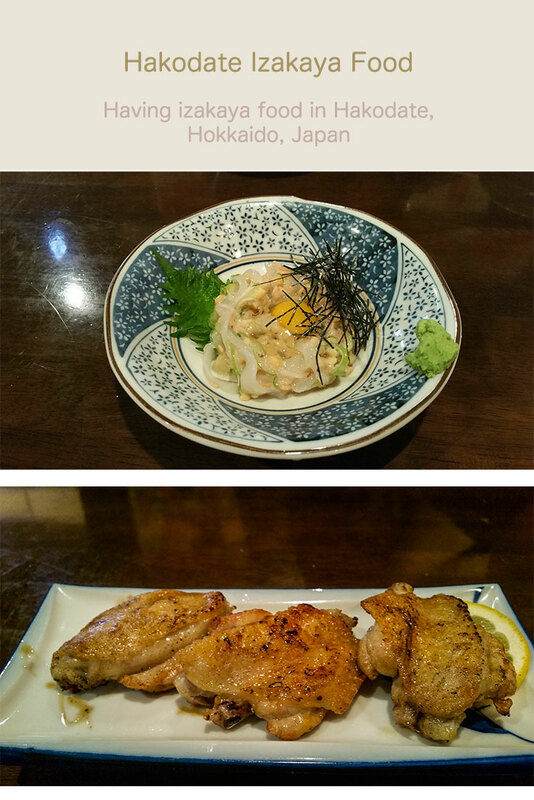 Having some dinner at a izakaya in Hakodate, Hokkaido, Japan. It had been a long but very nice day.